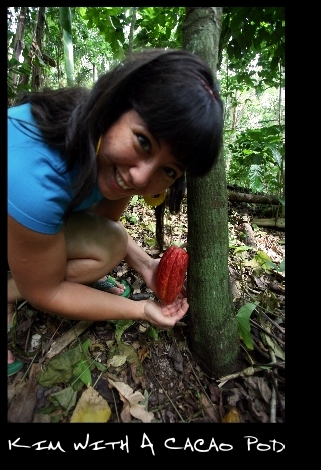 Welcome to Chocolate Tofino online! We’re excited to be able to show you a little of what we do at our cozy little shop in Tofino, on Vancouver Island! Founded in 2003, Chocolate Tofino is built on a legacy of fine, hand-crafted chocolates made fresh, with the highest quality ingredients. We never use artificial flavours, colors, or preservatives. 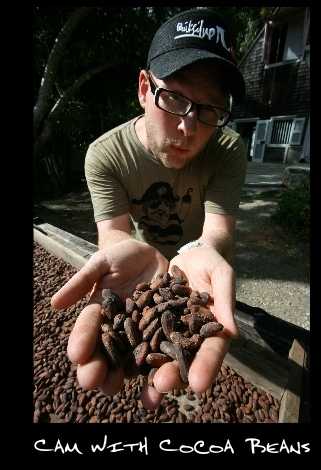 Instead, we seek to incorporate organic and local flavors into our artisan chocolates. Some of our local specialties are our Organic Lavender Truffle, the Wildflower Honey Ganache and our Wild Blackberry Buttercream. All of our products are made fresh in our tiny Tofino shop – come by and see our Chocolatiers hard at work making beautiful artisan chocolates and chewy caramel confections! All of our chocolates can be purchased individually or in beautiful giftboxes. If you’re looking for a special gift, look no further than the adorable Chocolate Tofino Bear, filled with little chocolates shaped like fish and sea creatures – a true West Coast experience! 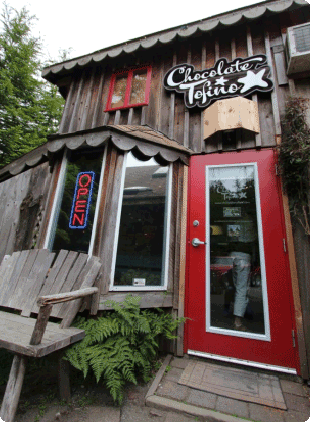 We would love see you in person, but if you can’t make it all the way to Tofino, make your way over to our Store page to satisfy those chocolate cravings!